Hello! I am Jordan, the property manger, for this beautiful rental. The owners, Stuart and Amy Bakay, purchased this house in 2016 and have renovated it beautifully while maintaining many original features! Having lived here for almost five years now I really enjoy sharing "My New Orleans." The Bakay's are local to New Orleans and hope to one day retire to this house. You are surrounded by great long-term neighbors and good friends of ours, please say hello when you see them outside. This house was built in 1892 and we had the honor of renovating/restoring it in 2016. We hope that you enjoy all the amenities of a new house with the charm of an original New Orleans Greek Revival. 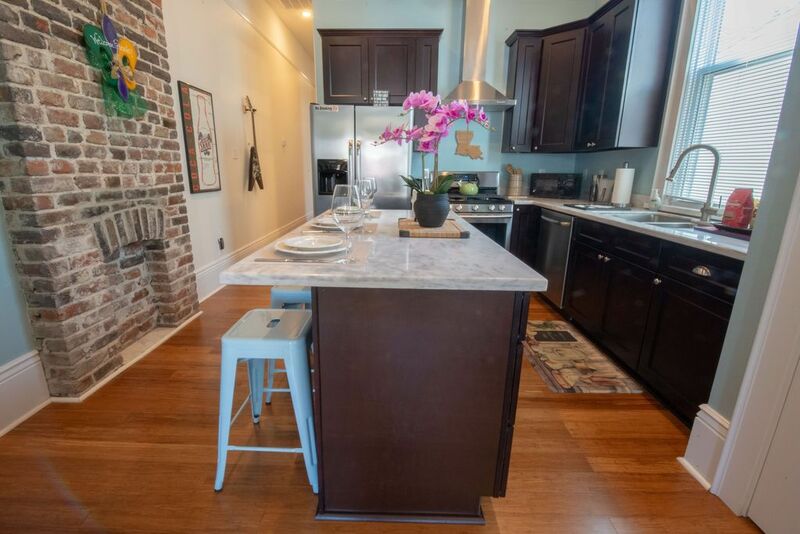 Only 5 blocks to the local music scene and 6 blocks to the heart of the French Quarter this property provides a truly local experience. We supply an abundance of plush white towels. Shampoo, conditioner and body as well. Hair dryers are in each bathroom for your convenience. 10 cup coffee machine- Coffee and sweetener provided! 'Geux cups' provided to take your drinks with you on the go- like the locals do! Large flat screen in the living room as well as each bedroom. Cable provided! The property was beautiful. The neighbors were friendly and nice. Loved our stay. Great location! Very clean! Super cute! Property manager Jordan was so nice and helpful!! Awesome property, everything was perfect! The most comfortable bed, great accommodations and service. Would definitely stay again! Beautiful rental property. Loved every minute of our vacation. The home was close to public transportation and some great restaurants. Jorden the property manager was very helpful and responsive....5 stars!!! We were two couples looking to get away from the kids for a couple of days. This was the perfect spot! Check in was easy, they showed us around and pointed out all of the important things. It was great that they already had a few things to get us started. A few bottles of water in the fridge cold, a few "starter" beers, coffee, it was great! Easy walk to the French Quarter or a cheap Uber if your feet are tired! We would highly recommend this location and owner! Thanks for a great stay in NOLA! You can’t go wrong with this rental home! From the beginning conversations with Jordan I knew it would be a great visit. She went out of her way to answer all my questions & meet us at the lovely home. It was everything we expected & looked just like the photos. Close proximity to a grocery store & street car lines but yet far enough away for some peace & quiet at night. The backyard was an added private bonus.